Successfully Added 1.8 Inch TFT Screen MP4 Player 4GB - Extra Large Button Layout to your Shopping Cart. China Made MP4 Digital Video Player with 65K Color TFT screen, and the addition of very easy to use button layout. Sometimes MP4 button interface can be very difficult,but this is not the case with this MP4 Player. It has very large and easy to use Buttons. 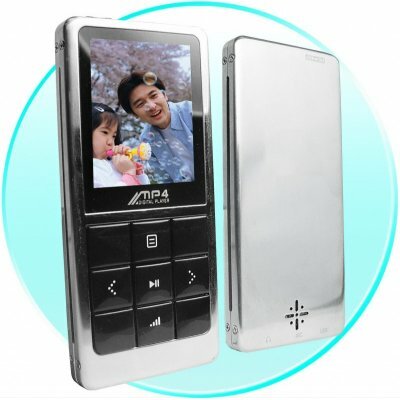 Combine this with a built in speaker, TFT technology, a stainless steel exterior, and all the other great features that you have come to know in Chinavasion MP4s, you have a nice MP4 to own or to resell.